Adding some flair to his kicks. There's probably not a player at any position in football who relies on his footwear more than the punter. 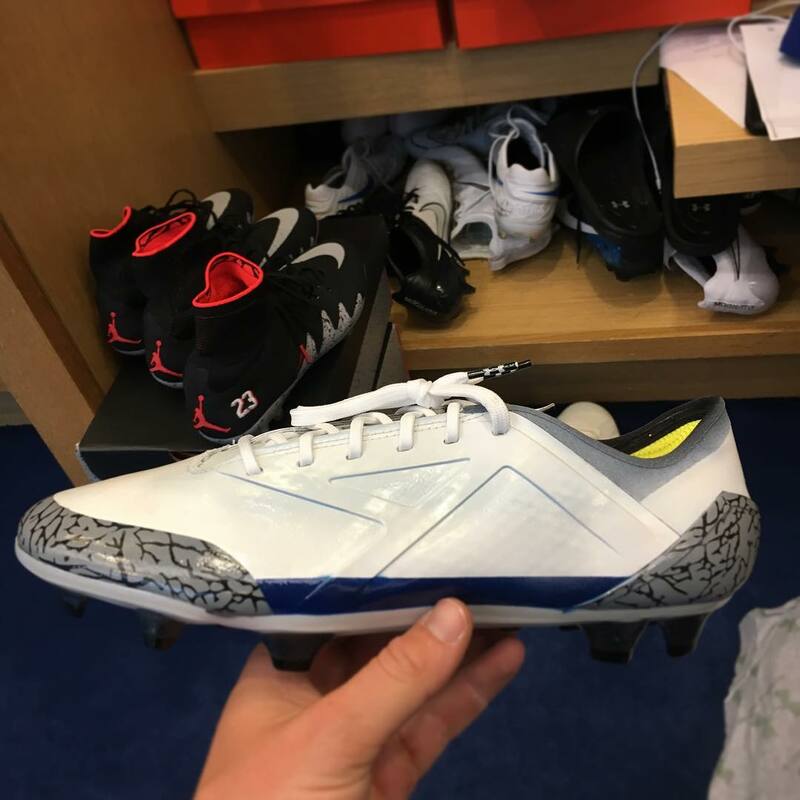 Unfortunately, most companies aren't going out of their way to create cool cleats for kickers, so Brad Wing of the New York Giants took matters into his own hands. Linking up with noted customizer Kickasso, Wing gave his Under Armour Spotlight cleats a makeover inspired by his favorite Air Jordan of all-time — the "True Blue" Jordan 3. The good news mounts for Wing, as his favorite Air Jordans will return to stores in sneaker form next month. Perhaps we'll see him kick in this pair when the Giants visit the Minnesota Vikings on Monday.